Abundant red spray roses and classic white Daisies make this sweet bouquet a favourite any occasion or sentiment. Delivered in a shapely red vase and tied with a shimmering red ribbon, it's a gift from the heart. 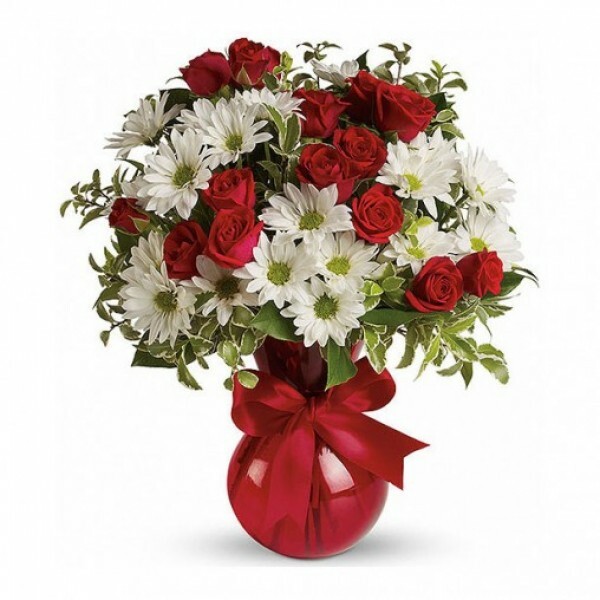 Includes red spray roses, white daisy chrysanthemums, delicate pitta negra and glossy lemon leaves.